Fables and fairy tales are also fundamental texts, but belong to another strand, a worldly strand. 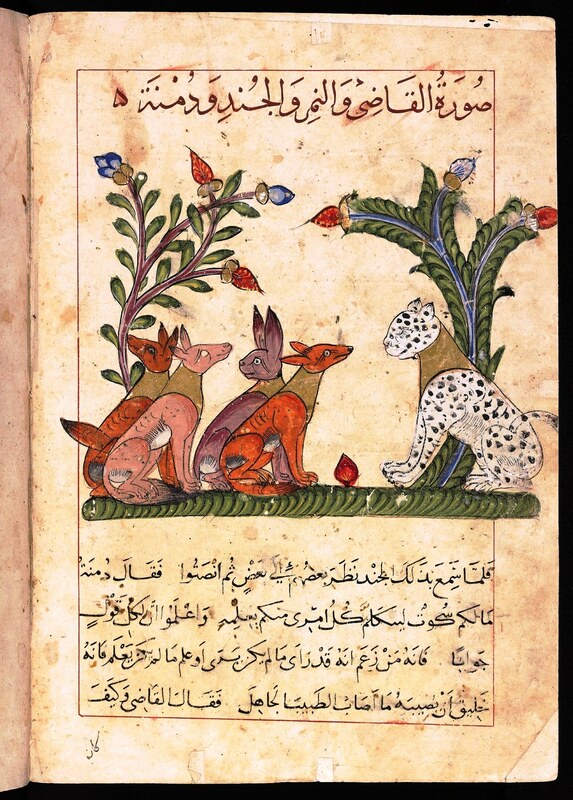 India is the birthplace of the Panchatantra, Pañcatantra, which features animals. It is a text we cannot ignore. 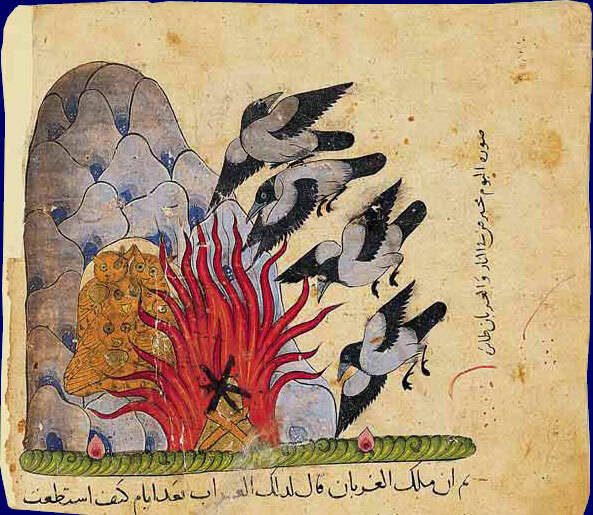 Nor can we sweep away its Persian version, Kalīlah wa-Dimnah There is a Middle Persian version of the Panchatantra, written in 570 CE, by Borzūya.That version has been lost, but Abdullah Ibn al-Muqaffa was ordered to write the Persian and ultimately Arabic version of the Panchatantra, entitled Kalīlah wa-Dimnah and written in 750 CE. This version has come down to us. As well, many genres are its progeny or developed at the same time as the Panchatantra. The most notable are the Buddhist Jātaka tales. Buddhism advocates moral wisdom and asceticism, but its Jātaka tales teach a wordly form of wisdom. Personally, I do not think that one precludes the other. They are simply different of a multilayered reality. Jātaka tales are about the former lives of Buddha and could be compared to the formulaic “Once upon a time” of fairy tales, an hypnotizing magic carpet that takes the reader or listener to the past. Most, if not all, cultures have a Golden Age, a Paradise, a Promised Land… Humans give themselves a glorious past and look upon themselves as the descendants of giants. This glorious past is mostly fictional, but it has shaped, to a lesser or greater extent, the collective mind of various civilizations and has therefore attained a form of permanence and truth, a poetical truth. In a sense, we are the authors of these texts. Shrewdness and practical wisdom are not necessarily Machiavellian. In Machiavelli‘s world, the end may justify the means, but the third son of the miller (Puss in Boots) is unlikely to find himself ruling a corrupt city-state. 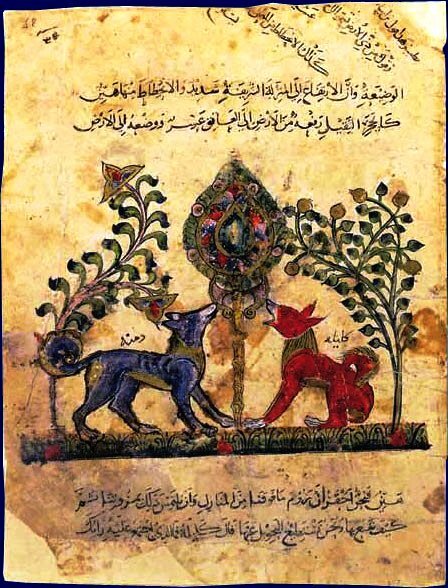 Moreover, all humans have to deal with other humans, beginning with members of their family, and may find excellent advice in such books as the Panchatantra and Kalīlah wa-Dimnah, its Arabic version. A nītiśāstra could be described as a political science textbook and, as we know, Machiavelli is on that reading list. Baldassare Castiglione‘s Il Cortegiano (1528, begun in 1508) would be its courtly counterpart and very civilized. It is salon literature. However Reynard the Fox is a beast counterpart of Nicolló Machiavelli‘s Prince, distributed in 1513 and published in 1532. In short, we have salons, but we also have parliaments, or other forms of government and we have the religious and the secular. For a list of books and treatises on the education of the prince, see Wikipedia’s Mirrors for Princes. With respect to secularism, I should mention the fabliaux, brought to France from the Orient by returning crusaders. These “fables” and characterized by their frequently scatological obscenity. And the same is true, to a lesser extent, of certain Reynard stories. Yet, the Roman de Renart and fabliaux are available as children’s literature. As for the Panchatantra, it may advocate worldly wisdom, but it is not offensive. 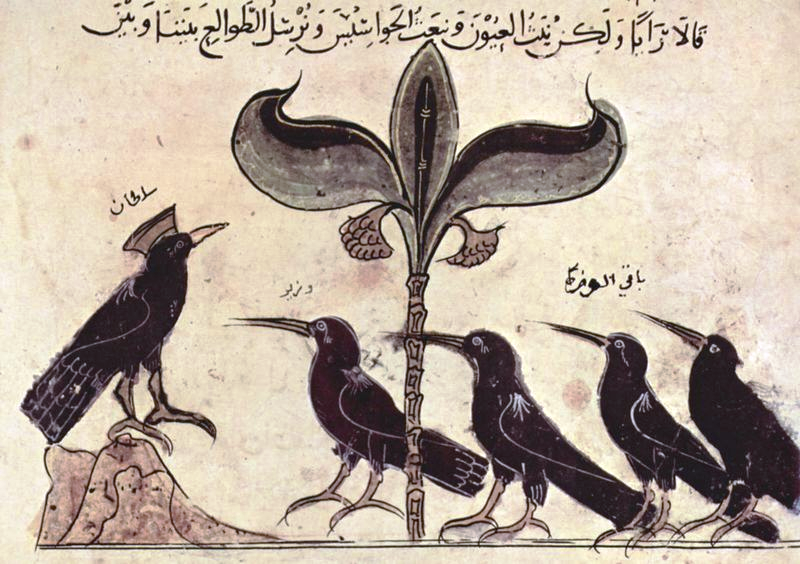 Nor is Ramsay Wood‘s translation of Kalīlah wa-Dimnah. My readers who know French may wish to visit the Bibliothèque nationale de France (BnF), Roman de Renart Earlier versions of Puss in Boots would not have been acceptable to précieuses, no more than fabliaux, but Perrault‘s Puss in Boots and other fairy tales were extremely popular in salons and have become the reference. In the Introduction to his first volume of Fables (1668), La Fontaine compares fables to parables. Given their worldliness, the lessons of fables are not the lessons of parables, but both are stories illustrating a moral. Fables inform or/and delight, in which they are consistent with the Horatian ideals. I marvel at the degree to which East meets West on so many levels, i.e. from the lofty spiritual down to a cruder reality and I am enormously thankful to the scholars who have translated and/or studied the masterpieces of the East, scholars such as Sir William Jones (philologist), Sir Charles Wilkins KH, FRS, and, in particular, Sir James George Frazer FRS, FRSE, FBA, OM (1 January 1854 – 7 May 1941) whose Golden Bough: A Study in Magic and Religion (1906 – 1915) has often guided me. I also marvel at the many ways in which the past informs the present. 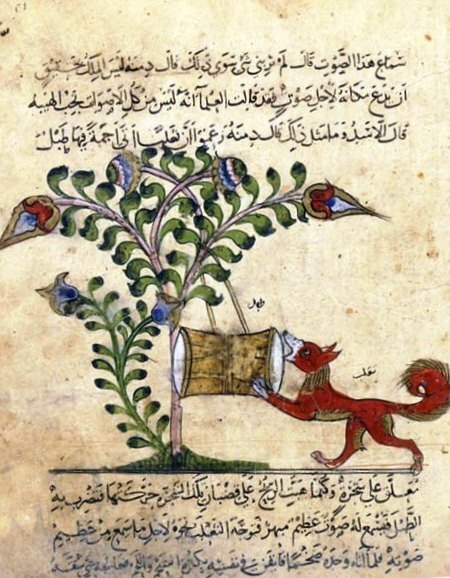 The fables of antiquity are the exempla (plural of exemplum) of the Middle Ages, its proverbs, its sermons, and we still read animal stories rooted in the Panchatantra. [i] Vishnu Sharma is considered the author of the Panchatantra, but there are doubts as to the authorship of Panchatantra. Doubts also linger as to the year of its publication. According to some scholars, it dates back to c 300 BC, but other scholars claim otherwise. It could date back to 1200 BC.